Miss Collins (talking to Carrie White): You want a cup of coffee don't ya', a piece a cherry cake? 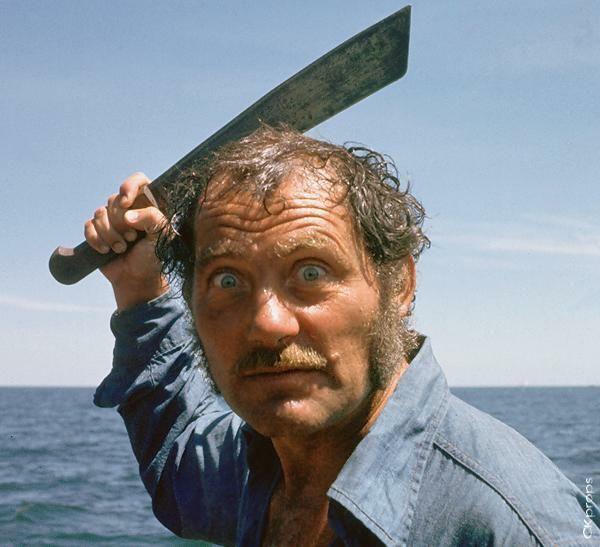 Miss Collins (yelling at Chris Hargensen): Billy Nolan, Billy Nasty! You didn't go behind the bleachers to get the volley balls, you and him... You-- you're... you're out out the prom, Hargenson! Margaret White (singing in a frenzied voice): I know I shall meet you on that final day, water-walkin' Jesus take me away. Carrie White (crying to her mother): No, momma, no! These are all great, and just in time for Halloween!!! Carrie White (talking to Sue Snell who is off-screen hollering from the other side of the door): Who is it? Sue Snell (yelling and pounding on the door): Its Lureen Newsome from right here in Childress, Texas. Who do ya' think? It's Sue Snell damn it! Let me in, I wanna party too. Billy Nolan (talking to Chris Hargenson): You are in a hurry. Chris Hargensen (talking to Billy Nolan): My daddy's the hurry, he wants me home with the car by midnight. 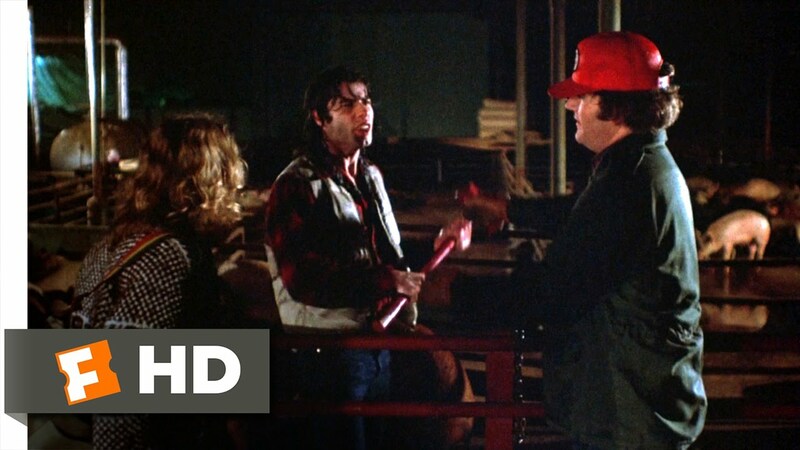 Freddy (talking to Billy Nolan who is holding an sledge hammer): So where do you figure the most pussies are at. Billy Nolan (talking to Freddy): You make it tween' Montana and Wyoming, I'd pick Wyoming. Chris Hargenson ( talking to Billy and Freddy): Hey, you might wanna keep it down there are two little piggies here. Michael Myers (talking to Annie Brackett): Fast or slow, I just like the direction you're goin'. Lindsey Wallace ( talking to herself out loud): This movie ain't that scary, there's no way in real life that a masked boogeyman would be hiding in your bedroom closet with a knife. Laurie (thinking to herself): No, but there can be one hiding behind your couch. Jesus, that was close. If I hadn't moved to the other side when I did, she woulda' saw me back there when she got up. Yeah, you'd better enjoy that tinkle, cause it might be your last, kid. I'll git' her when she comes back out from the crapper. Damn bathroom breaks, but still this is the perfect time to strike. I gave you treats, now yer' gonna get your trick. She's gonna get the scare a' her life! I can't count on that dumb Michael to do it, he's just like all those other damn ranch-stiffs that I've dated, they ain't never no good. Lynda ( the sound of her gasping voice can be heard over the phone): Helllllp meeeee! 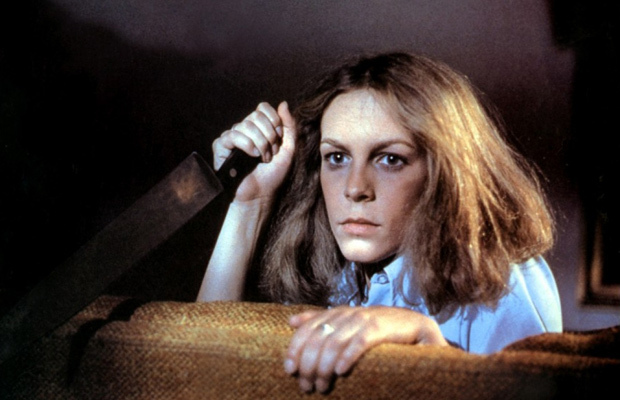 Laurie Strode (talking to Lynda): Who, who is this? Michael Myers (talking on the phone in a creepy voice to Laurie who is off-screen ): Hello, this is Ennis Del Mar, I mean this is Michael Myers, and I'm your worst nightmare come true. Laurie Strode (talking on the phone to Michael): Who, who is this?! Lynda, Annie, is that you? Cut it out you meatheads! Lynda (talking on the phone to Laurie): It ain't me. 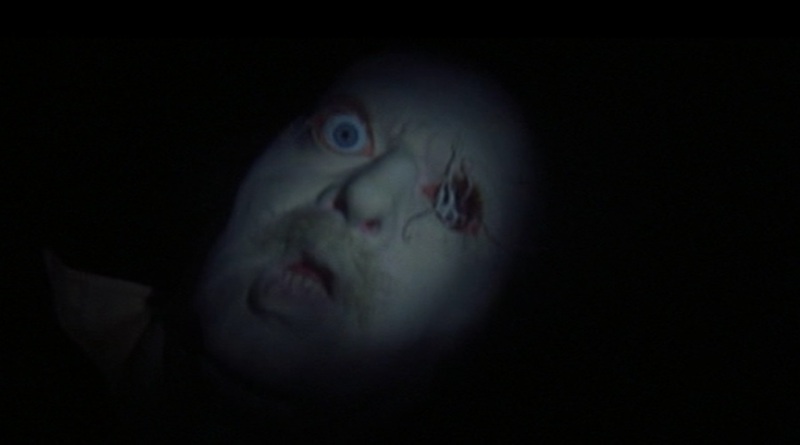 Maybe it's just Ben Tramer tryin' to get your ghost or somethin'. Speakin' of spooks, Bob's been gone an awful long time. How long does it take to go downstairs and get a beer, where the hell is he? Annie Brackett (talking on the phone to Michael): Paul? Paul, is this one of your cheap tricks? Does anyone else besides me notice that they are all talking on what appears to be the exact same phone? LOL. 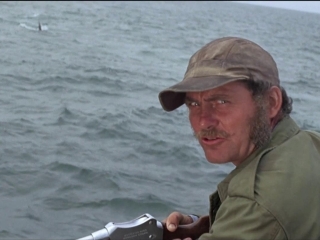 Quint (talking to Hooper who is off-screen): Where in the hell you been, I get down here hungry as hell and all I find is beans! I guess I'll be dining on fillet of city boy tonight! Rachel Parsons (talking to Miranda Grey): Miranda, the truth is, sometimes I miss you so much I can hardly stand it. Miranda Grey (talking to Rachel Parsons): I wish you were alive again so that I could hold you in my arms just one last time.